This picture was taken of Sugar just before her first litter in the fall of 2001. Sugar and her Thanksgiving litter. 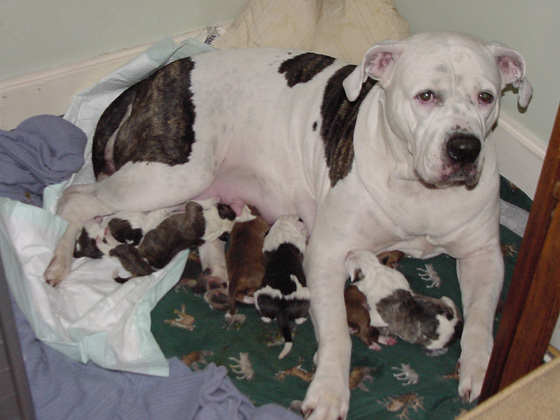 Six happy American Bulldog puppies and their proud mother. They arrived yesterday on Thanksgiving. We'll have many more pictures when they start moving around and their eyes open. 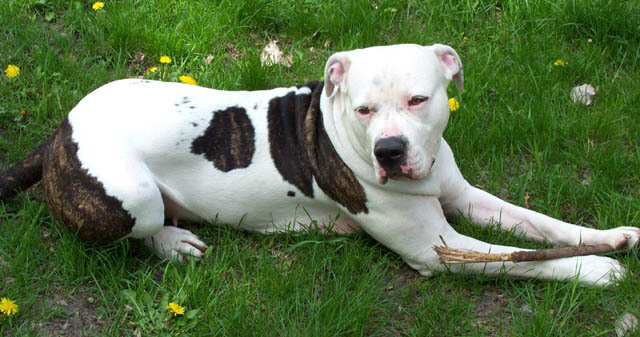 Click here for 2002 movies of Sugar and Julie, from her first litter. Click here for more photographs and movies of Sugar.